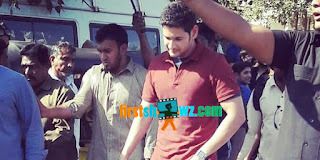 Mahesh Babu is quite busy with the shoot of his untiltled film taking shape in AR Murugadoss direction. After wrapping up Vietnam schedule, Mahesh Babu has immediately joined the Chennai schedule shoot. Key portions of the movie are being canned in Chennai schedule and Mahesh is shooting night and day for this film. The film is touted to be a social drama with Mahesh in the role of Spy. Rakul Preet Singh is playing the leading lady. The first look of this big-budget movie is expected to be unveiled soon and fans are eagerly waiting from months. This movie is being shot in bilingual versions in both Telugu and Tamil. Music is by Harish Jayaraj.